The National War Museum, Edinburgh Castle explores the work of a charity making former war zones safer. Princess Diana walking through a minefield in Angola to highlight the work of the HALO Trust © Anwar Hussein. Dressed in body armour, Princess Diana walked through a minefield in Angola, frozen in an image that crossed borders and resonated across cultures. Her actions were to highlight the work of landmine clearance being undertaken by The HALO Trust in the wake of the country’s bitter civil war. Although only a few hundred metres from the central square in the town of Huambo, it was clear that this muddy track was a no-go area. Twenty years on, this same road, now mine-free, is a thriving artery, with homes, a secondary school and a college. 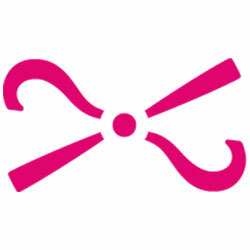 It is a testament to the restorative benefits of the charity’s work. 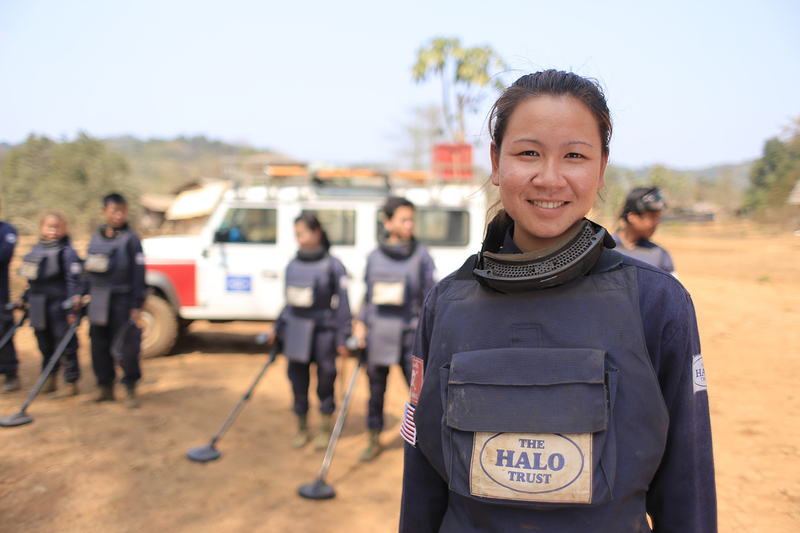 A female deminer working for The HALO Trust in Laos © The HALO Trust. Over the past two decades, HALO – Hazardous Area Life-Support Organisation – has cleared 92,000 mines from Angola, but 630 minefields, mostly in poor rural areas, have yet to be tackled. The exhibition Safer Steps: Working with The Halo Trust at the National War Museum highlights the ongoing task in areas that tend to drop off the international radar once they have been politically stabilised. The HALO Trust was founded in 1988 and initially set to work clearing minefields left after wars in Afghanistan and Cambodia. It has grown to become Scotland’s largest NGO (non-governmental organisation), employing 6,000 people in 20 countries and territories from its head office – a converted stable near Thornhill in Dumfries and Galloway. 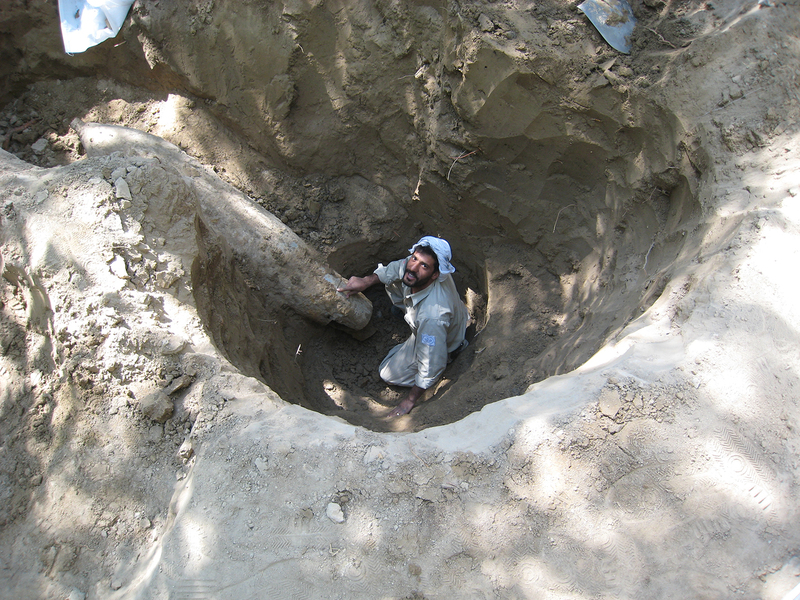 A HALO officer tackles a live Soviet aircraft bomb in Kabul Province, Afghanistan, 2007 © The HALO Trust. 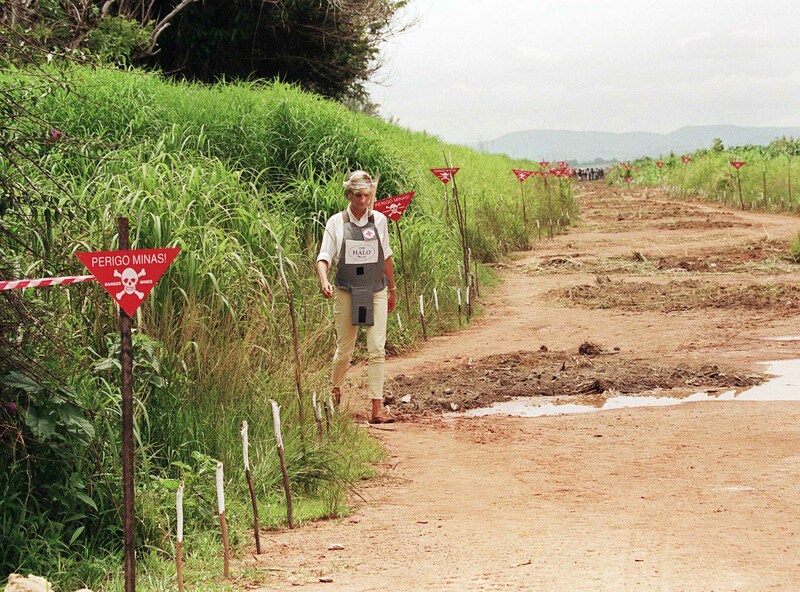 The Ottawa Treaty of 1997 banned the use, stockpiling and manufacture of landmines in international law, and a subsequent target was set for a landmine free world by 2025. It is an ambitious timeline, but HALO can point to Mozambique becoming landmine free, last year as encouragement. Government-manufactured mines have, though, been largely replaced by improvised explosive devices (IEDs), especially in the Middle East. So, while the meticulous work of clearing minefields continues, the emphasis will gradually shift to clearing the debris of war, such as unexploded grenades and cluster munitions, which often catch the eye of children. Illustrating the risk is a recent HALO photograph of children playing in the streets of Kobani in Aleppo Governorate, where the charity works remotely with Syrian NGOs. 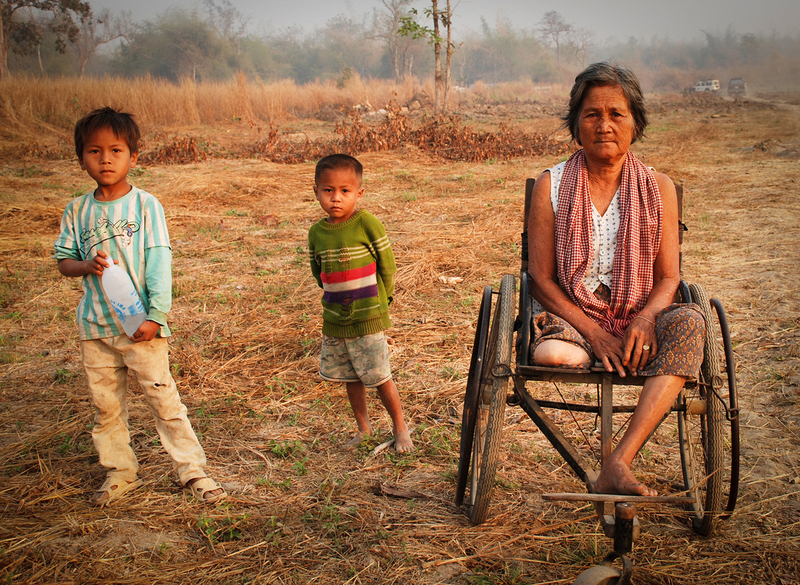 An amputee with her grandchildren in Cambodia © The HALO Trust. “The exhibition will help remind people this problem hasn’t gone away and, if we are to meet our target of being landmine free by 2025, there is much work to be done,” says McCann. Sasikala Kalaichelvan and her family in caring for her children in post-conflict Sri Lanka © The HALO Trust. Sasikala Kalaichelvan was widowed during the Sri Lankan civil war and lost a leg to a mine. She and her two children returned home in 2010 to find their land had been mined. By 2013, the area had been cleared. At first, we could only walk as far as the public well. We encountered problems when we went to collect firewood. So all we wanted is for HALO to remove the mines, she says. It doesn’t matter about me losing my limbs because I am older and have lived my life, but if a child met with the same accident, it would be a disaster. My children should have a decent life. So with all my effort, I’m cultivating this land with water from the well. The past is the past. There is no point in looking back. Now we have to take care of the future of our children.” because the government census people can visit or the road builders can go in. Safer Steps: Working with The HALO Trust is at the National War Museum from 16 March 2017-March 2018.